Retro gaming is big business these days, with the earliest video games of the 80s and 90s now far back enough in history to attain vintage status - and the people who originally played them now old enough to want to recapture a few moments of childhood nostalgia. Fortunately for those wanting a retro gaming fix, the choice is growing all the time, with today's smartphone and web technology more than capable of matching the specs of the consoles of yesteryear. Here are some of the main options you can choose between. You can't fail to have noticed the buzz around the Nintendo Classic Mini over the last few months, and it's obviously an approach that works with gamers - authentic-looking replicas of consoles past, that hook up to your television and give you a wealth of games to choose between. The Nintendo Classic Mini (£49.99/$59.99) is the newest device in this vein but it's far from the only option out there. The Sega Mega Drive (or the Genesis, as it was known in the US) is another vintage 16-bit machine you can find a modern version of. As with the Nintendo device, the games come built in (80 of them), and you get the authentic controller feel even if you're watching the action on a much better display than you were in the 1990s. Alternatively, build your own: one of the most popular uses of the Raspberry Pi is to set it up as a retro gaming machine. This is slightly more involved than just buying a Nintendo Classic Mini and plugging it in, and you'll need a certain amount of technical know-how; but that said, building a retro gaming Pi isn't all that difficult, and there are plenty of helpful guides online. There's always the option of buying a vintage console on somewhere like eBay too - though getting hold of games, and connecting it up to your modern-day TV set, can be tricky if you take this route. Chances are though that someone else has already tried the exact retro gaming setup you're thinking of, so a quick web search should turn up some useful advice and pointers. It took a while, but publishers now seem to have realised just how much interest there is in retro gaming, with a lot of classic titles becoming available for Android and iOS. 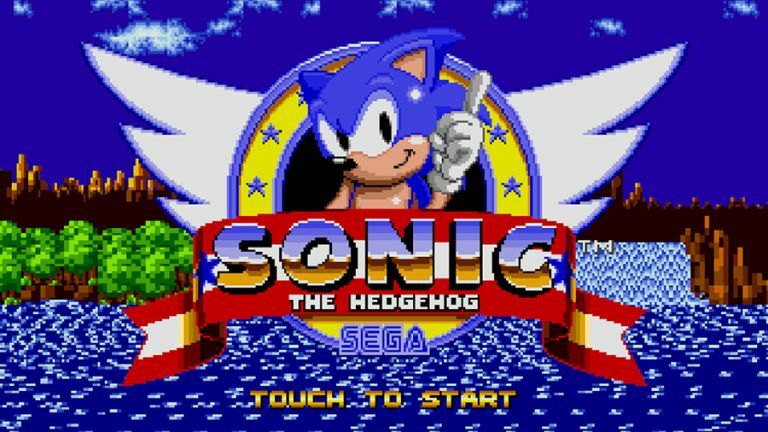 Head to your app store of choice and see what's available: there are no fewer than 12 official Sonic games for Android published by Sega, for example, while Nintendo recently announced Mario would officially be appearing on iOS at last. As for third-party emulators, Apple takes a pretty dim view of them - in fact being able to install vintage emulators is one of the reasons users still jailbreak their iPhones. There's more choice available on Android in terms of unofficial emulators that will run all kinds of old games for all kinds of old systems, but the quality and stability of them can vary, and you're often responsible for sourcing your own ROMs... which then gets you into a grey area legally. Try looking for games listed as "abandonware", which means their publishers are happy to have them distributed for free. It's a good strategy to start with a pretty specific idea of the games you want to play and then see what's out there for your platform in terms of official releases and unofficial options. The selection of retro games on iOS and Android is growing all the time. If possible we'd say always go with the approved channels, even if you have to fork out more cash - classics like Grand Theft Auto III are now officially ported to mobile and will give you a lot of gaming hours for your money. Video game publishers are keen to eke out as much money as they can from their intellectual property (and who can blame them? ), so you won't find many of the big titles available to download and play free of charge. A lot of classic video games can just be bought again for modern systems - check out this list on Steam, for example. You may feel aggrieved spending more money on games you've already bought once, but prices are often pretty reasonable, especially if you pick up games in bundles. Pirating is an option but we wouldn't recommend it - dodgy copies of games will often come with dodgy extras that won't be good for your PC's security. You can find desktop emulators for certain classic systems online with a brief search on the web, together with a wide selection of ROMs - but again we'd recommend sticking to titles that have been released as freeware. Running emulators through a browser is even easier, and modern-day web engines can emulate some of the more basic gaming consoles on their own. We're still in the same murky waters legally though, and it's up to you and your conscience whether or not you want to play games for free that are still being sold through official channels. Sites such as the Internet Archive offer a wide selection of games but the gaming experience can be a bit hit and miss. The web and online emulators are a good starting point for a retro gaming fix if you want to get up and running as quickly as possible, but depending on what you're looking for it might be more trouble than it's worth. Be particularly wary of sites covered in advertising or that repeatedly ask you to download plug-ins.